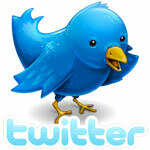 For Easter, we have done something different. As Hapag-Lloyd celebrates 125 years since it introduced its first dedicated cruise ship, the 7,241-ton Augusta Victoria, we have a look at another operator that started cruising around the same time and did so up until the First World War put an end to it. The Plant Line began with experimental cruises from Tampa to Jamaica in a ship called the Halifax in the early 1890s, followed by cruise offerings from Boston to the Gulf of St Lawrence in La Grande Duchesse, and a series of dedicated cruise offerings in another ship called the Evangeline, from Key West to the West Indies and Panama in 1913 and from Jacksonville in 1914. We also have a look at the opening of a new Singapore-based ship management company in Hanseatic Cruise Services. Hapag-Lloyd Cruises recently changed its houseflag to incorporate the year 1891, in order to commemorate the introduction of its first dedicated cruise ship, the 7,241-ton Augusta Victoria. There is no doubt that Hapag-Lloyd is the long-term survivor today but other lines were also active in the early days of cruising. One of these was called the Plant Line. In 1886, meanwhile, Henry Plant, owner of railways and hotels as well as an express company, had founded the Plant Line to operate between Tampa, Key West and Havana in connection with his Atlantic & Gulf Railroad, opened in 1885 between Jacksonville and Tampa. For this, Plant built the 1,611-ton Olivette in 1887, a ship that later became well known for carrying a 20-year-old Winston Churchill from Tampa to Havana on his first visit to Cuba, on November 19, 1895. In 1892, the year after the Halifax’s first cruise to Jamaica, Plant took over the Boston, Halifax and Prince Edward Island Steamship Line, and placed the Olivette into summer service between Boston and Halifax, where she first arrived in July 1892. In prior summers, she had been operating between Boston and Bar Harbor. Also in 1892, the Canada Atlantic and the Plant Line merged their services to form the Canada Atlantic & Plant Steamship Company. In early 1893, therefore, “the magnificent Plant Line s.s. Halifax” went south to perform three 10-night experimental winter cruises between Tampa, Nassau and Jamaica. Her first cruise left Tampa with 89 passengers on February 16, 1893, with Plant himself joining the cruise and taking his own notes. Although the Plant System’s New York headquarters was soon distributing leaflets entitled “Florida, Cuba, Jamaica, Nova Scotia,” the Jamaica cruises ended after Plant and the Jamaican Government failed to come to an agreement to manage hotels on that island. Thereafter, when the Halifax came south, it was to join the Olivette in handling the winter peak between Tampa, Key West and Havana. This route became the mainstay of the Peninsular & Occidental Steamship Company, which was the vehicle into which the Plant System merged its Florida shipping interests with those of Henry Flagler’s Florida East Coast Steamship Company in 1899. Flagler’s main contribution was the Miami-Nassau overnight service operated by the 1,681-ton Miami. For the Boston-Halifax-Port Hawkesbury-Charlottetown route, meanwhile, Plant decided to build an ambitious $500,000 17-knot coastal liner. The new ship was launched in 1896 and completed as the 5,018-ton La Grande Duchesse in 1897. She was not a success, however. Twice refused because of excessive vibration and steering difficulties, she was chartered to transport troops during the Spanish-American War. After builders’ alterations, the Plant Line finally accepted her in April 1899, in time for that summer’s Gulf of St Lawrence season. After five sets of sea trials, she had cost her builders over $1 million. La Grande Duchesse entered service from Boston in the spring of 1899, turning at first at Halifax, and then after July 1 sailing as far as Charlottetown. She made frequent voyages to the Gulf of St Lawrence that summer, carrying between 500 and 740 passengers each time. Never satisfactory, La Grande Duchesse was prone to breakdowns and too big for the trade and it wasn’t long before the Olivette rejoined the Halifax on this run. Although it had been intended to run La Grande Duchesse between Tampa and Nassau in the winter, the merger of Plant’s shipping interests into P&O now prevented that and she was sold off in 1901. If this $18 fare looks low compared to the $118 mentioned above for La Grande Duchesse, it did not included accommodation or meals. It was another decade before the Plant Line, now operating in the south through P&O, made its next step in cruising. Apart from the Halifax’s experimental cruises from Tampa to Jamaica in the early 1890s, the first ship to offer a regular schedule of cruises from a Florida port was the 3,786-ton Evangeline, the first of two vessels of that name – the second was built by Eastern Steamship Lines in 1927. Coming from the same shipbuilders as the Halifax, for the Plant Line’s route between Boston, Halifax, Port Hawkesbury and Charlottetown, the Evangeline was designed for cruising when ice blocked the entrance to the Gulf of St Lawrence. She was designated as a “tourist passenger steamer” and based on previous experience with the Halifax, she was chartered to the American P&O for winter cruises. 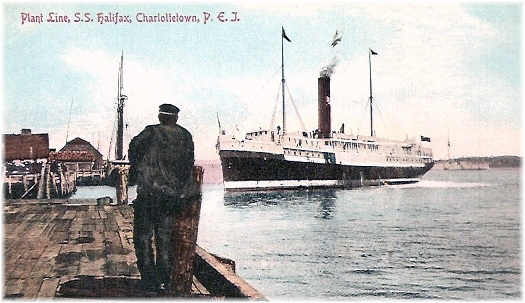 After operating her first season of cruises from Key West, the Evangeline arrived at Charlottetown for the first time on June 6, 1913, on her summer route from Boston. These early Florida winter cruises, operated from January through April, were followed by seven similar 14-day cruises in 1914, but this time from Jacksonville, with fares starting at $125. They all included a visit to the Panama Canal, of great interest as it was still under construction, but the outbreak of the First World War brought them to a close. In 1915, the Halifax was sold to New York buyers, later to be lost at sea. In 1916, the Evangeline was chartered to the Quebec steamship Company to run between New York and Bermuda. But she too was sold at the end of that year, again to New York interests, ultimately to end up under the French flag. A third ship, the 1,601-ton A W Perry, which had joined the fleet in 1904, was lost off Halifax in 1915. A torpedoing off New England became the last straw. On October 9, 1916, the Red Cross Line’s Stephano, a ship that had cruised from New York to Panama in the winter seasons, was bound from St John’s, Newfoundland, to New York with 80 passengers. She was stopped off Nantucket by the German submarine U-53. Right in the presence of neutral American destroyers, the Stephano was looted and sunk by gunfire and a single torpedo. One of the destroyers, USS Balch, picked up the passengers and crew, who had been ordered by the captain to abandon ship, and took them to Newport, Rhode Island. In November 1916, shortly after the loss of the Stephano, with its business suffering from low fares and showing no signs of improvement, the Plant Line announced that it was closing and that its remaining ships would be sold. Bernhard Schulte Shipmanagement, based at Hanseatic House in Limassol and part of the Schulte Group, and Optimum Ship Management of Piraeus, a division of Celestyal Cruises, have announced the establishment of a 50:50 Joint Venture, under the name Hanseatic Cruise Services. Based in Singapore, Hanseatic, will provide comprehensive passenger ship management services to third-party clients on a global scale. BSM, one of the world’s largest ship management companies, is a leading and integrated provider of ship-management services, with a heritage spanning more than 130 years in shipping. The company manages a fleet of 600 vessels, and its 20,000 employees at sea and ashore offer ship management services through a network of nine ship management, 23 crew service and five wholly-owned maritime training centres across the world. 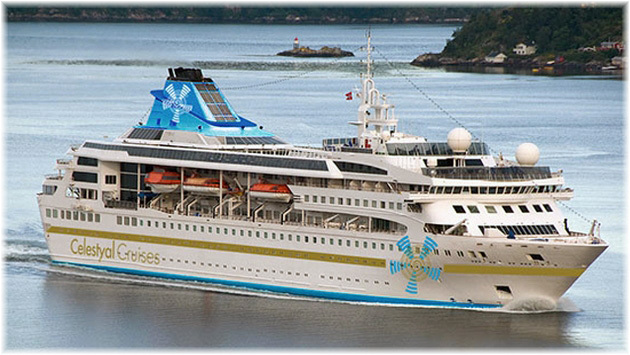 Optimum has provided fleet management services from its office in Piraeus to its largest client, Celestyal Cruises and currently manages the entire Celestyal owned fleet, the 966-berth Celestyal Crystal, 1,074-berth Celestyal Nefeli and 1,450-berth Celestyal Olympia, as well as two Thomson Cruises ships, the 1,462-berth Thomson Majesty and 1,254-berth Thomson Spirit. Thomson Spirit’s sister ship, the 1,254-berth Thomson Celebration and the 1,506-berth Thomson Dream, both still ultimately owned by Carnival Corp & plc companies, are also managed in Cyprus, but by Columbia Shipmanagement Ltd.
Bernhard Schulte Shipmanagement began as Schulte & Bruns in 1883 and first founded the Hanseatic Shipping Company in Cyprus in 1972.